As the logistics sector moves towards a cleaner future, Rebecca Kite, environment policy manager at the Freight Transport Association (FTA), says the sector needs more support from Government to maximise environmental gains while minimising economic loss as towns and cities introduce new air quality schemes. Air quality in our towns and cities has improved significantly over the last four decades, but there is still much to be done to ensure air pollution reaches its lowest possible levels. With the government’s target to halve the population’s exposure to toxic air by 2025, many air quality schemes are due to be introduced in the coming years, including Clean Air Zones (CAZ), Zero Emission Zones (ZEZ) and Ultra Low Emission Vehicle (ULEV) streets. And there are now many emission-reduction technologies and techniques, such as telematics and electric vehicles, available to businesses to mitigate environmental impact. While FTA recognises and supports the industry’s legal obligation to improve air quality, it believes charging zones, such as ZEZs to ULEZs, simply damage businesses while delivering limited air quality improvements. The fragmented nature of these schemes across the UK – different start dates, sizes and standards – makes it difficult for businesses to plan their journeys and fleet upgrades accordingly. The logistics sector is committed to reducing its environmental impact, but this must be supported by government investment in appropriate infrastructure for this to become an affordable and realistic option for businesses of all sizes. Many businesses have started to review their operations to see which emission-reduction strategies could work for them. For any business operating a Light Commercial Vehicle (LCV) – such as a van or a pickup truck – electric motors are the natural evolution. On average, these vehicles emit 50% less greenhouse gases than diesel, making them an essential tool in the fight to improve air quality and tackle climate change. These vehicles are becoming increasingly popular among consumers – one in every 12 new cars purchased in the UK is now electric – but there are still several barriers to overcome before we can expect to see widespread adoption. Firstly, the UK’s charging infrastructure is insufficient for commercial needs. While many operators will leave their vans at the depot to charge overnight, public charge points are scarce and are not evenly spread across the country; currently, there are only 13,000 points available nationwide. For many businesses, this leads to ‘range anxiety’ – the concern that, with limited opportunities for recharging, a vehicle’s battery will not be enough to carry out the required task. The back to depot charging model is also dependent on grid capacity, and many operators have already found themselves paying a heavy bill to upgrade the grid. Another important consideration for businesses is cost: currently, electric vans are significantly more expensive to purchase than their standard fuel-based counterparts and the second-hand market is negligible. Currently, the cleanest option for heavy vehicles is Euro VI, whilst there are duel fuelled vehicles available, none deliver the same level of emission savings as a Euro VI diesel engine. 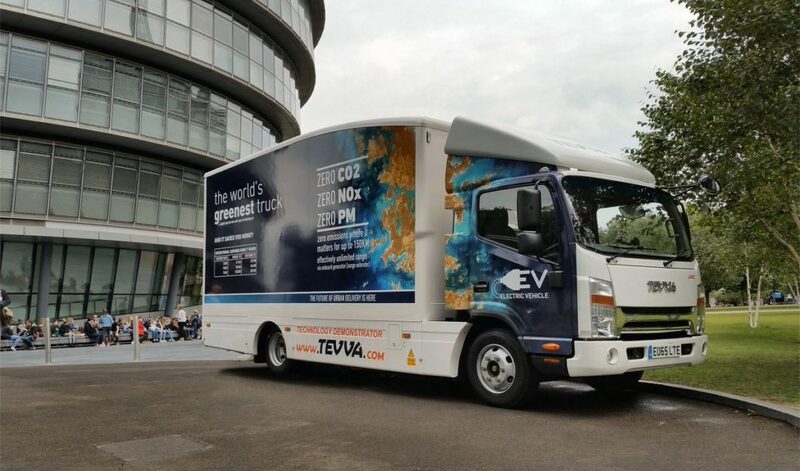 Electrically powered HGVs are slowly coming onto the market, but this option for operators is still in its infancy. While FTA initially anticipated that methane gas could be a viable bridge technology – providing an option until electric was viable – it remains to be seen if this possible; the Low Carbon Vehicle Partnership (LowCVP) is currently testing this theory. We are also awaiting the definition of an Ultra-Low Emission Truck and until this has been agreed, we are advising industry focuses on moving across to Euro VI in order to be compliant. For example, if a driver had a diesel and compressed natural gas (CNG) dual fuel vehicle, they would not be able to prove that the vehicle is being driven in the CNG mode. Therefore, a driver would be judged by the diesel standard of the engine, which, if it was euro V, would not be compliant. Electrically powered HGVs are slowly coming onto the market, but this option for operators is still in its infancy. While FTA initially anticipated that methane gas could be a viable bridge technology – providing an option until electric was viable – it remains to be seen if this possible; the Low Carbon Vehicle Partnership (LowCVP) is currently testing this theory. Operators and vehicle manufacturers have already led the way with investment in cleaner technologies through developments in engine standards – these Zones would simply bring forward the fleet replacement cycle at great expense and resource. Nottingham and Southampton have proposed emission reducing measures which are believed to bring compliance without the need for a charging zone, limiting the impact to the local economy, and FTA hopes other cities will follow suit.